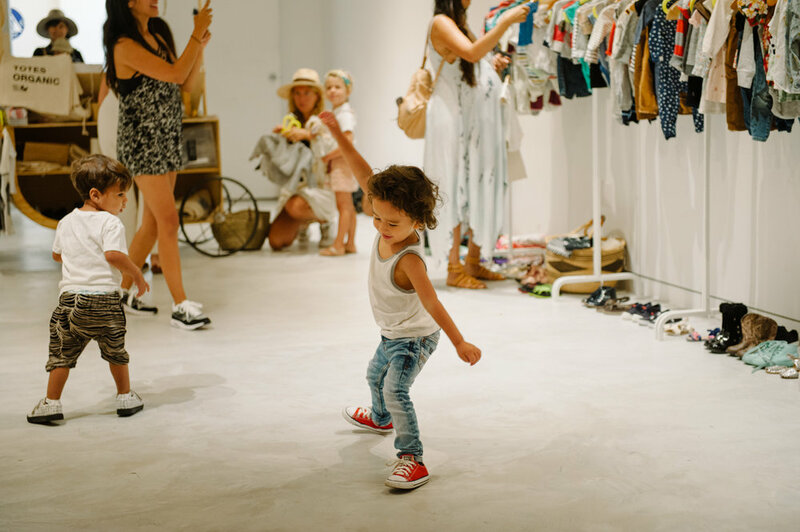 Although it's a known fact that babies and toddlers grow out of their clothing and shoes in the blink of an eye, that hasn't stop us all from buying adorable new looks for them to sport during that extremely short timeframe. 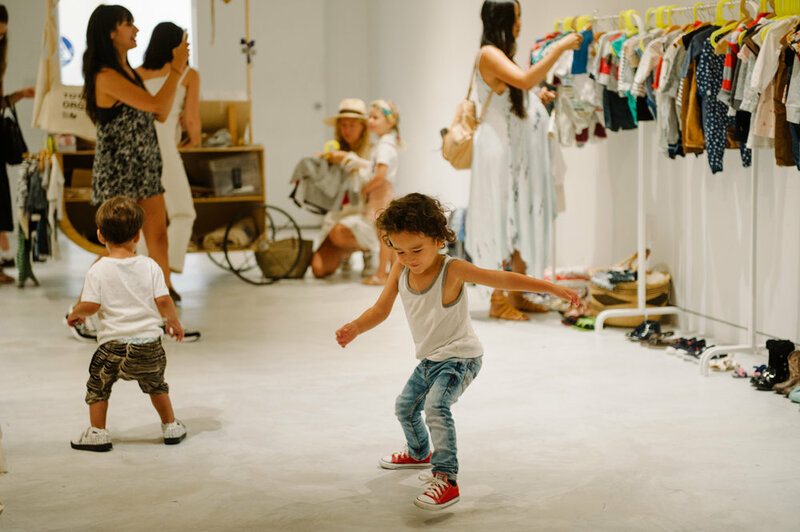 But after they've officially outgrown these pieces and we've saved our favorites for memories and hand-me-downs, what happens to the rest? 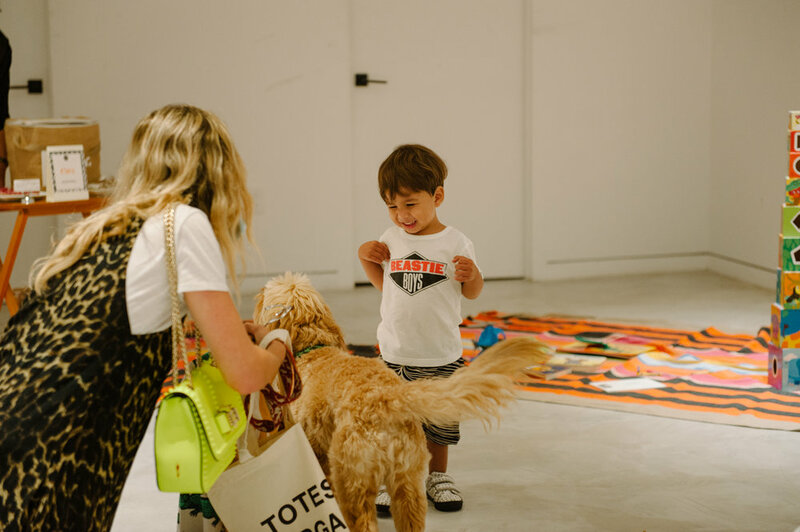 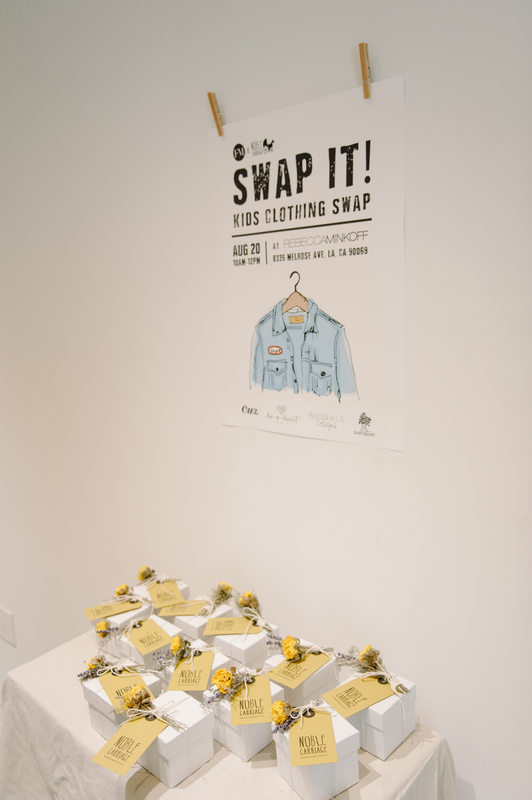 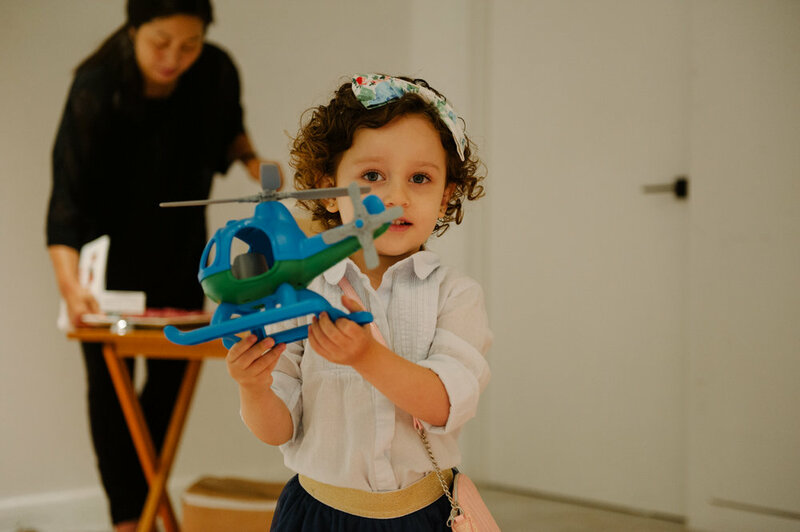 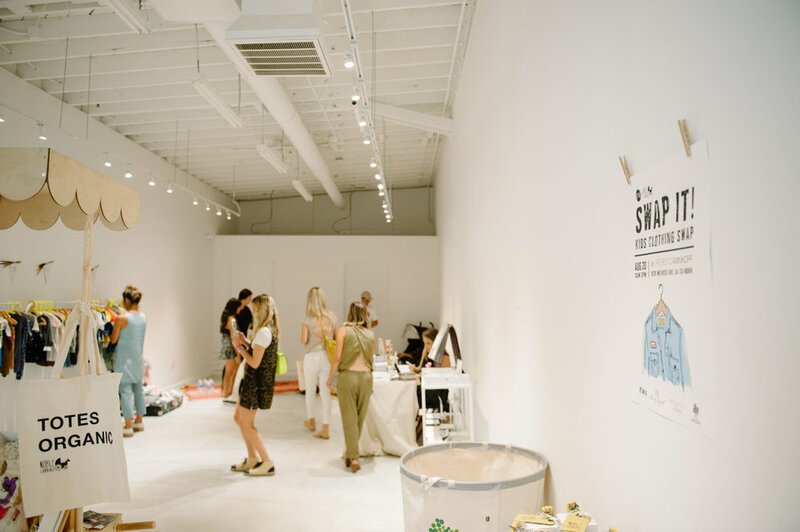 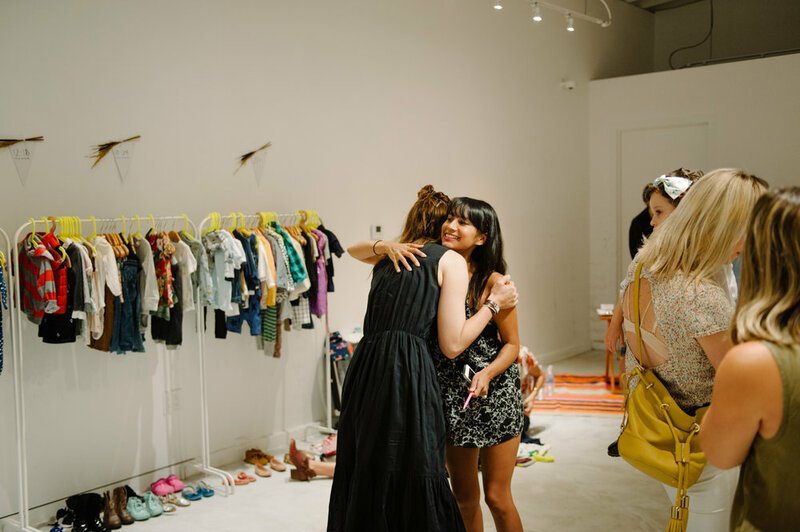 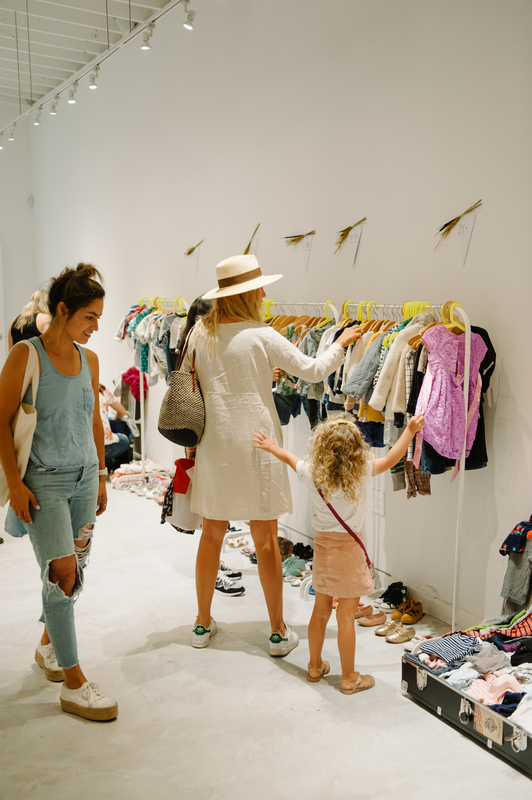 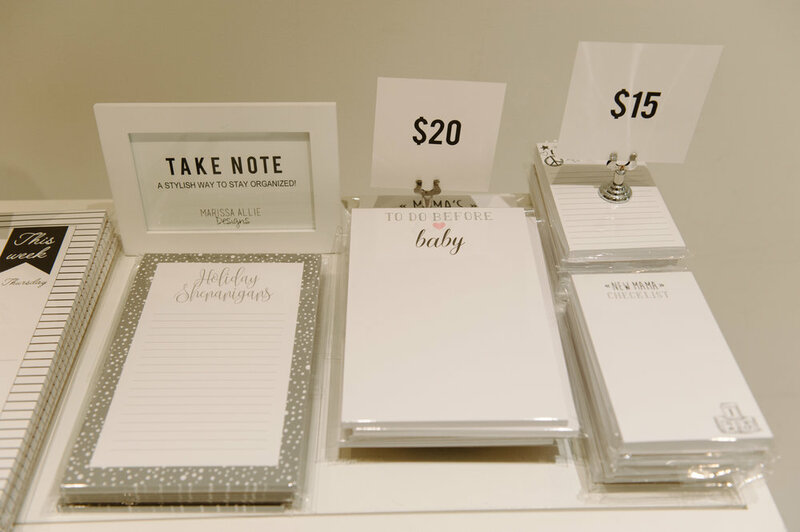 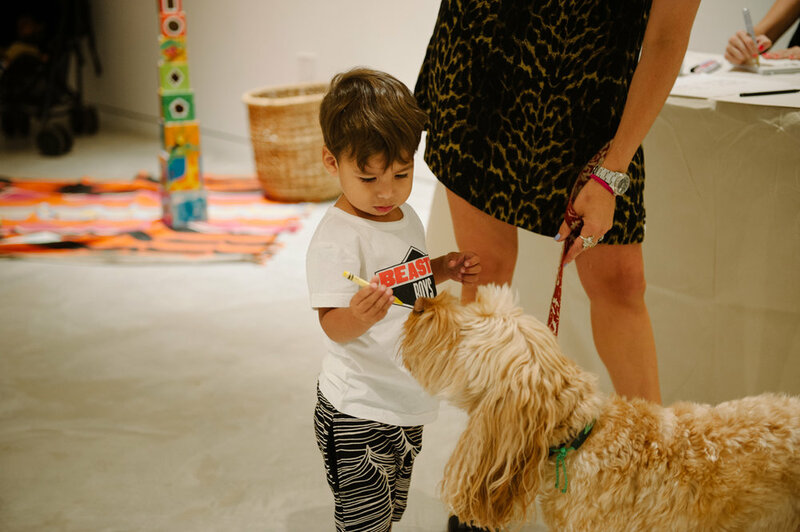 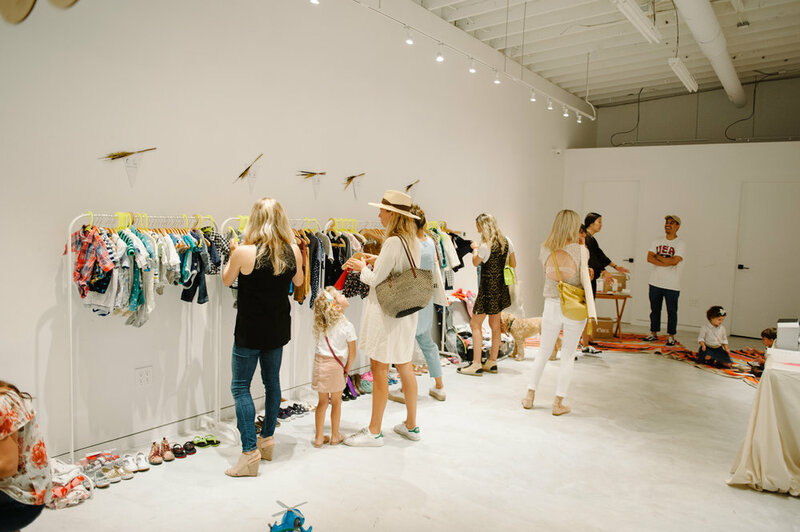 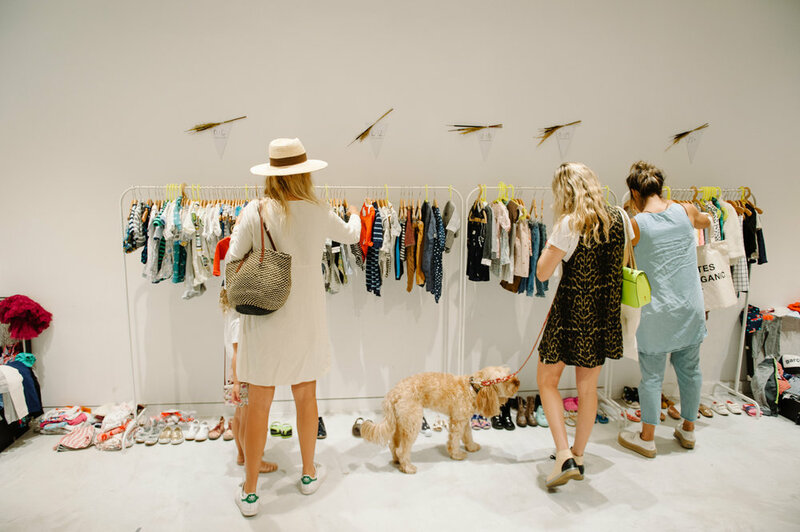 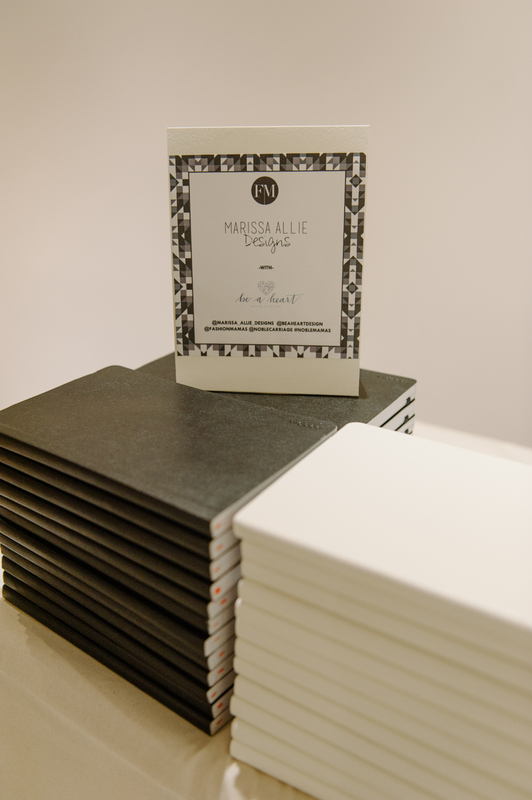 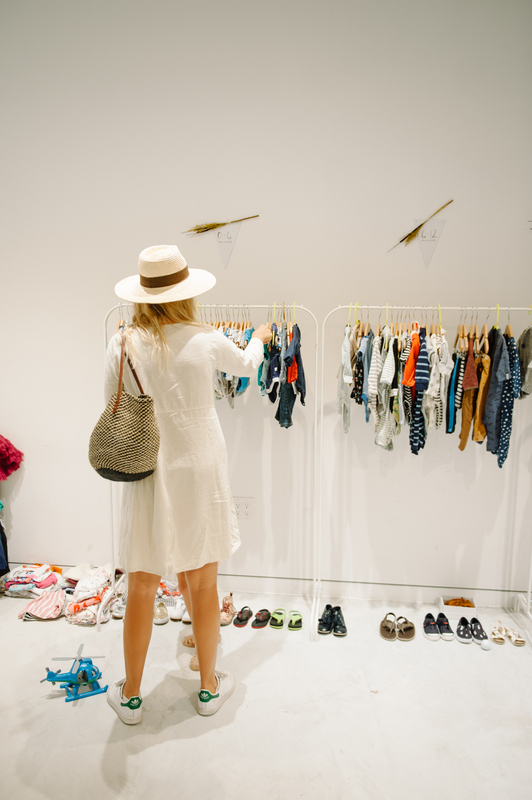 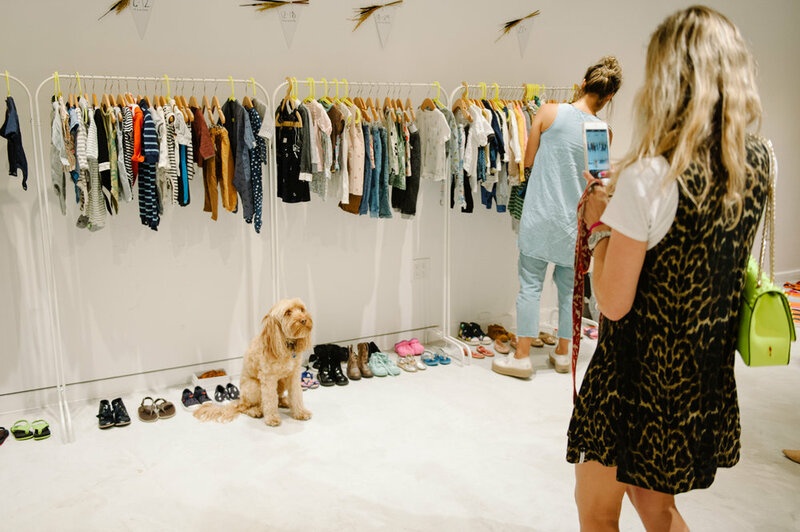 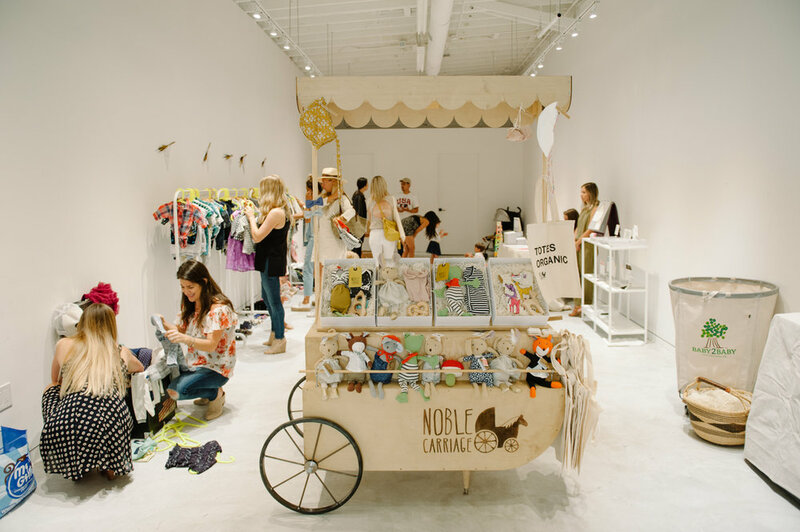 To solve this very #fashionmama problem, we teamed up with our friends at Noble Carriage — who already have a brilliant Kids Clothing Swap program — to host a little swap of our own. 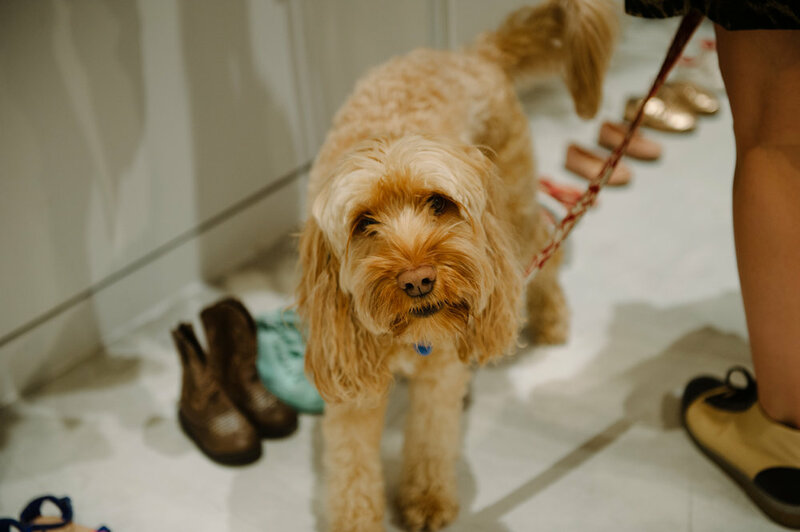 The members-only festivities were held at Rebecca Minkoff Melrose's very cool events space, Minkoff Projects, and featured vegan and gluten-free bites by Caer, a custom notepad station by Marissa Allie Designs with Be A Heart calligraphy, a play area with blankets by Paradise People, and a very special furry guest: FMLA member El Shane's dog, Homer! 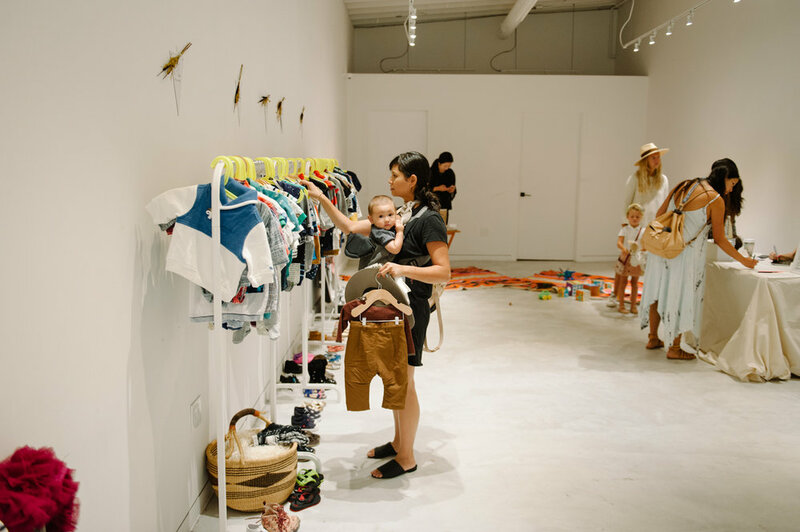 The best part: all items that our mamas didn't take home were donated to Baby2Baby — a nonprofit organization that provide low-income children ages 0-12 years with diapers, clothing and all the basic necessities that every child deserves.